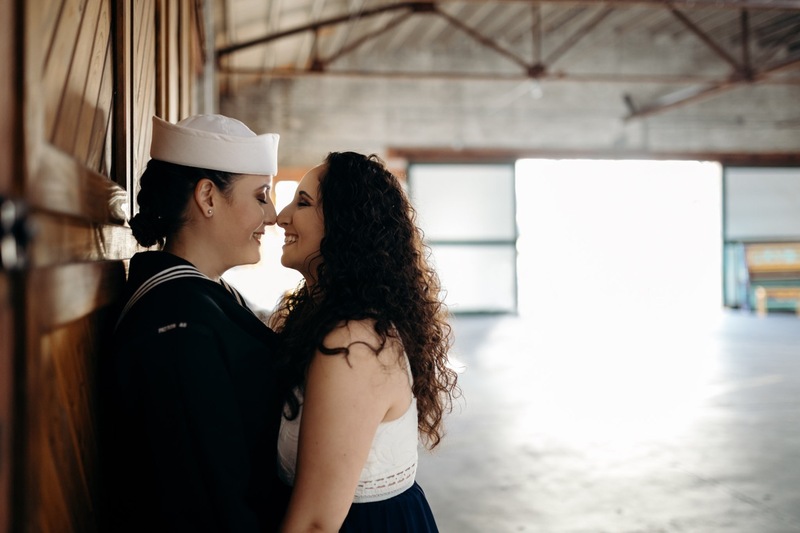 I’m so excited to share this blog of my sister in law and her (now) fiance! I found out earlier this week that it got picked up by a publisher, and I’m so happy, because this was such a fun engagement session in Downtown DeLand! Well, it wasn’t an engagement session that Lauren knew about anyway. Lauren thought this was just a couples session, but it was actually a pre-engagement session planned by Imalay, who proposed the next day, on Christmas Eve. The session was so much fun, and I it is so great seeing their connection in these photos. On Christmas Eve, Lauren was putting together a puzzle created by an artist in Nashville named Eric (check out his instagram, he’s amazing!) Imalay had taken out the most important pieces, so Lauren couldn’t see exactly what the puzzle was, and she wasn’t sure exactly why she was missing pieces. She was shown the picture of what the puzzle looked like all put together and Imalay got down on one knee to propose! It. was. perfect. Take a peek at some of my favorites from their engagement session below, and check out how awesome that proposal puzzle!